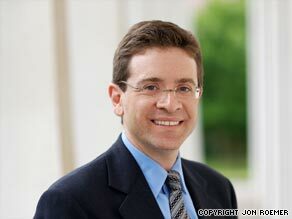 Julian Zelizer says high poll ratings don't guarantee success for a president's program on Capitol Hill. PRINCETON, New Jersey (CNN) -- President Obama continues to enjoy high approval ratings. Despite spending months navigating through one of the most treacherous economic crises in recent history and struggling with a Congress that is as partisan as ever, the latest CNN/Opinion Research Corp. poll, released Monday, found that his approval rating stands at 61 percent. But approval ratings have rarely been a good predictor of presidential success. Some presidents have exited Washington with the public loving them but without the legislative record of success they wanted. At other times, presidents have watched their high approval ratings plummet within weeks. John F. Kennedy had a tough time with Congress. Kennedy's approval ratings could not have been better, hovering somewhere between 70 to 75 percent for much of his time in the White House (climbing as high as 83 percent). But a conservative coalition of southern Democrats and Republicans allied to defeat most of the president's domestic agenda, including Medicare, income-tax cuts, and civil rights. President Bill Clinton saw his approval ratings rise to 68 percent at the exact time when congressional Republicans were trying to impeach him in 1998. Yet in some ways Republicans got the last laugh, because Clinton could barely move anything through the House and Senate in his final years as president. His effort to form a bipartisan alliance with House Speaker Newt Gingrich, recently recounted by the historian Steve Gillon in his book "The Pact," collapsed. Partisan polarization turned out to be much stronger than popularity. In the House of Representatives, Republican legislators in safe seats were more concerned with pleasing the base of their party than with responding to national public opinion. Zelizer: Is Obama's honeymoon over? Clinton couldn't find support from many congressional Democrats who were furious with him for risking their party's political strength with his reckless personal behavior. Gillon reports that Clinton's congressional liaison, John Hilley, lamented that "the scandal deprived Clinton of the last two years of his presidency." Strong presidential approval ratings can also be fleeting. According to Gallup, President Carter's approval ratings reached approximately 72 percent in April 1977. Carter drew the support of many voters who were frustrated with the Watergate scandal and turmoil over the Vietnam War and found the president to be a fresh voice in Washington. But beginning with the Bert Lance scandal in summer 1977, that all changed. Carter was politically paralyzed as his approval numbers fell steadily. He was unable to move most of his bills through Congress and, after the Iranian hostage crisis, he ended his presidency by joining Richard Nixon and Harry Truman (and now George W. Bush) with the lowest approval ratings at the close of a presidency. This fate seemed impossible for George H.W. Bush when his approval ratings rose to 89 percent after the 1991 success of Operation Desert Storm in ridding Kuwait of Iraqi military forces. Most observers believed the president's standing virtually assured him re-election in 1992 as well as a clean sweep with his legislative agenda. "The number of people who don't like George Bush," quipped Gingrich, "is almost down to the number of people running for the Democratic nomination." Gingrich's optimistic statement was misplaced. Bush's numbers fell to 29 percent in July 1992 as he failed to respond to the recession. Polls are an indicator of where a president stands at any given moment, but that's about all. A more accurate measure is what kind of legislative record a president is achieving. The question right now for Obama is not what the national public likes but what Congress likes, and in particular the Senate. Right now the three big proposals that might very well define his legacy -- financial regulation, health care and environmental regulation -- are facing an institution that has buried many bills in recent decades. If presidential approval ratings don't impress Congress, what might? The first is that President Obama must help undecided senators by visiting their states in July and August. He must invest some of his political capital in convincing constituents why these measures are essential. Second, he must allow one or two legislators, perhaps Montana's Sen. Max Baucus on health care, to become the kingmaker in the final deliberations. Both Franklin D. Roosevelt and Lyndon B. Johnson allowed key proposals to be "owned" by members of Congress, such as New York Sen. Robert Wagner with the Wagner Act (1935) or Arkansas Rep. Wilbur Mills with Medicare (1965). This requires credit-sharing and shedding some political ego. Third, Congress loves a log-roll. The administration can turn the challenge it faces, having three major bills in front of Congress in addition to economic stimulus programs, into an advantage and start cutting some deals Lyndon Johnson-style to secure blocs of votes. Finally, Obama can help legislators deal with interest groups. Presidents can earn the gratitude of Congress by using the power of the bully pulpit to counteract the power of K-Street lobbyists. The historian Robert Dallek recounted that Johnson held a private meeting with American Medical Association officials in July 1965. Johnson asked the delegation if they would find doctors who could travel to Vietnam. When they agreed, Johnson invited in the press. The reporters, who according to Dallek were probably prompted by Press Secretary Bill Moyers, asked whether the AMA would accept Medicare. Before they could answer, Johnson intervened: "These men are going to get doctors to go to Vietnam where they might be killed. Medicare is the law of the land. Of course, they'll support the law of the land. Tell him." Without much choice as the president looked him in the eye, the AMA president said "Of course, we will. We are, after all, law-abiding citizens." Many nervous legislators breathed a sigh of relief. If Obama can achieve the same popularity in Congress this summer as he has achieved in national opinion polls, he might be able to defy the high odds of passing sweeping legislation in an era of polarized politics and start building the foundation for the transformative presidency that he desires.